There are a lot of new features, both optional and standard, on Tucson drivers' vehicles these days. 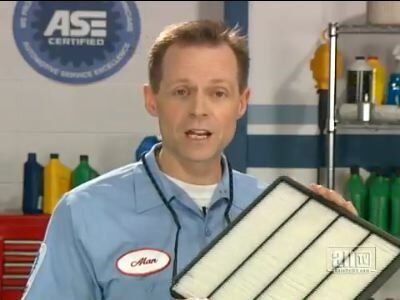 One you may not have heard of is called a cabin air filter. Simply put, its job is to keep the air in the passenger compartment of your car nice and clean. A cabin air filter is similar to the filter you use on your furnace at home in Tucson. Cabin air filters can catch particles down to three microns. By comparison, a grain of sand is 200 microns. So cabin air filters are effective against dust, dirt, pollen, mold spores and most pollutants in our Tucson area atmosphere. Good news if you suffer from any types of allergies, or if you live in an area in AZ prone to air pollution. Cabin air filters are generally located in the engine compartment or under the dashboard. They can be tricky to access and replace, so you'll probably want to go to your friendly and knowledgeable service advisor at Advantage Auto Repair & Transmisson to get it done. Check your vehicle owner's manual to find out if your vehicle is equipped with a cabin air filter and how often it should be changed. Recommendations vary, but generally a cabin air filter should be changed every 12,000 to 15,000 miles (19,000 to 24,000 kilometers). Of course, if you are an allergy sufferer in Tucson, you may want to replace it more often. Also, if you do a lot of driving in polluted or dusty areas in AZ, you'll also want to shorten the cabin air filter replacement period. Dirty air filters just don't work well, and they can exude an unpleasant odor if ignored for too long. Most Tucson folks know that good car care includes keeping your vehicle clean, including the air inside the passenger compartment, so changing your cabin air filter should be part of your routine preventive maintenance. It's good auto advice as well as good medical advice that an ounce of prevention is worth a pound of cure. You really shouldn't wait until the interior of your car starts to smell and your eyes start to water before you change your filter. And trying to cover it up with a dangling green pine tree is not the right answer, either! Cabin air filters can be a welcome relief to Tucson allergy sufferers, but they're also a great idea for anyone in AZ who just wants to breathe better. Poor interior air quality is nothing to sneeze at, and Tucson auto owners might be interested to know that more and more new cars are coming equipped with a cabin air filter. Check your vehicle owner's manual, but they typically need to be replaced at around 12,000 to 15,000 miles (19,000 to 24,000 kilometers). The filter is usually under the vehicle hood or under the dashboard. Some are a little tricky to get to, so you'll want to have your friendly and knowledgeable Advantage Auto Repair & Transmisson service advisor take care of replacing them. As we said, many Tucson people don't realize they have a cabin air filter and come to Advantage Auto Repair & Transmisson saying "my vents are smelling bad." It usually turns out to be a dirty cabin air filter. A switch out and they're on their way, smelling sweet. Tucson residents who suffer from allergies can really benefit from a cabin air filter as it keeps irritants to a minimum. If you're one of them, you'll want to replace your filter regularly. 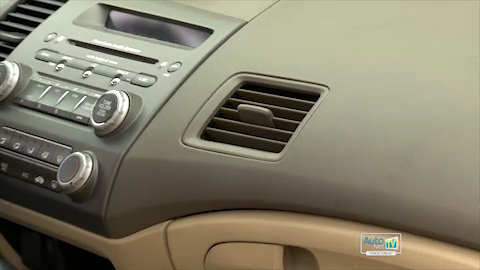 If you do a lot of driving in dusty or polluted Tucson conditions, you'll need to change your cabin air filter more often. Bad air quality while you're driving around Tucson is nothing to sneeze at. But seriously, more and more vehicles these days come equipped with a cabin air filter. Since they're fairly new on the scene, a lot of folks don't know about them yet. So your cabin air filter can clean out dust, pollution, pollen and spores to keep the air in your car nice and clean. And just like your furnace filter, they need to be replaced when they get dirty. Check your owner's manual or ask your service advisor at Advantage Auto Repair & Transmisson, but they typically need to be replaced at around 12,000 to 15,000 miles (19,000-24,000 kilometers). The filter is usually either under the hood or under the dashboard. Some are a little tricky to get to, so you'll want to have Advantage Auto Repair & Transmisson take care of replacing them. Tucson residents who are allergy sensitive can really benefit from a cabin air filter, as it keeps allergens to a minimum. If you're one of them, you'll want to stay on top of your filter replacement schedule. Of course if you do a lot of driving around the Tucson area in dusty or polluted conditions, you'll need to change your cabin air filter more often. Let's talk about air quality in Tucson. It's a global issue, but affects us wherever we are. Many decades ago, Tucson drivers began to become aware of how air pollution negatively affects health. But what about the air inside your vehicle? Now, it's only been in the last few years that cabin air filters have become common in Tucson. You can look in your owner's manual to see if you have one. If you do, there'll be a recommendation for replacing it when it gets dirty. If you live in an area of AZ where there's a lot of dust, pollen or pollution, you may need to change it more often. You can also ask your friendly and knowledgeable service advisor at Advantage Auto Repair & Transmisson in Tucson. How hard is it to change an air filter on a car? It depends on your vehicle. Some are quite accessible; others take some doing to get to them. They're usually in the engine compartment or under the dashboard. 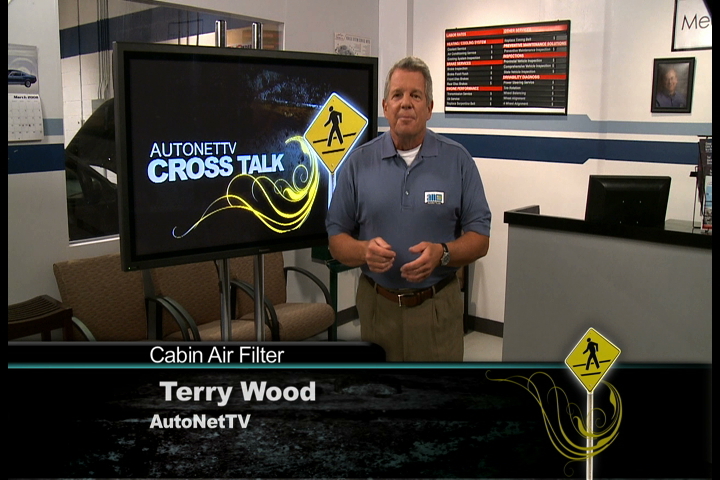 Because cabin air filters are so new on the scene, some people haven't heard of them – even those who have cabin air filters in their vehicle. Advantage Auto Repair & Transmisson service advisors have discovered that many Tucson customers who complained about an unpleasant odor in their vehicle simply had a dirty cabin air filter.